Large copper bowl with special slow rotation beaters from Italy. 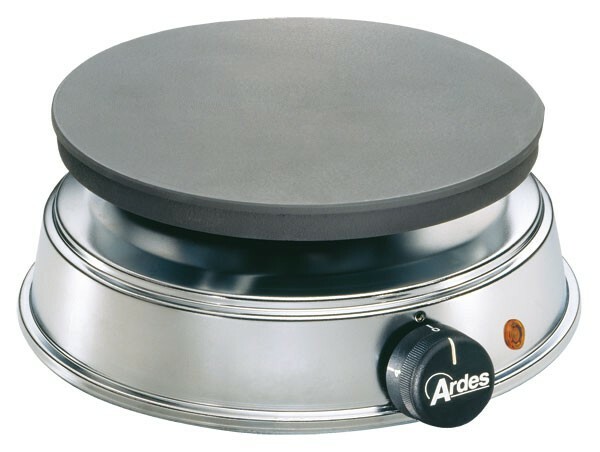 This bowl can be used simultaneously for cooking and mixing. 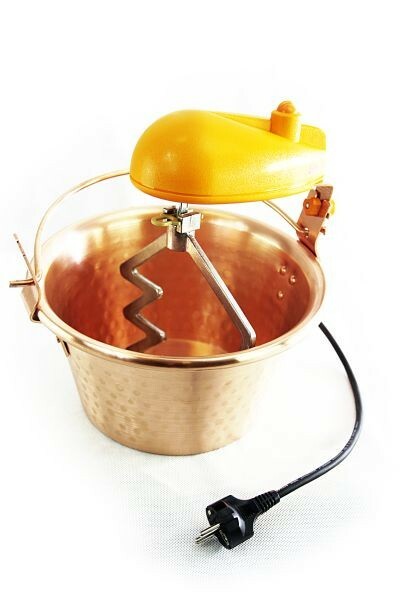 Ideal for polenta, butterscotch or chocolate. 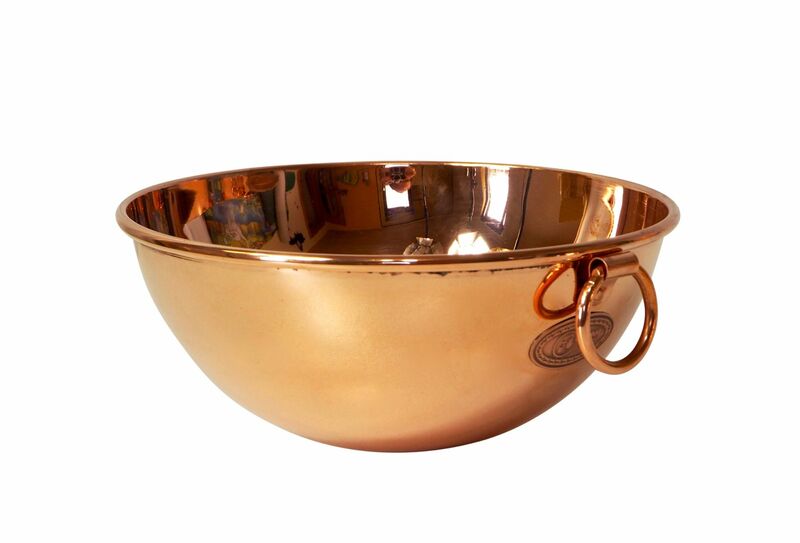 This copper mixing bowl is traditionally used in Italy for cooking polenta. 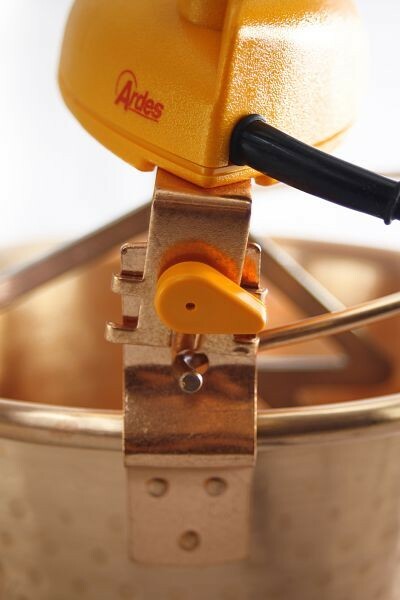 The electric beaters prevent burning - polenta is difficult to prepare if you do not want to stand by the stove and constantly stir the pot. A good polents is also thick and the long mixing process can be tiring. The bowl can be used for much more than just cooking polenta! Copper is traditionally used for preparing sweet dishes, so you can create delightfully creamy chocolate or real butterscotch - and fruit drops. And the best quality, at that - because the beaters take over the hours of beating which are necessary. 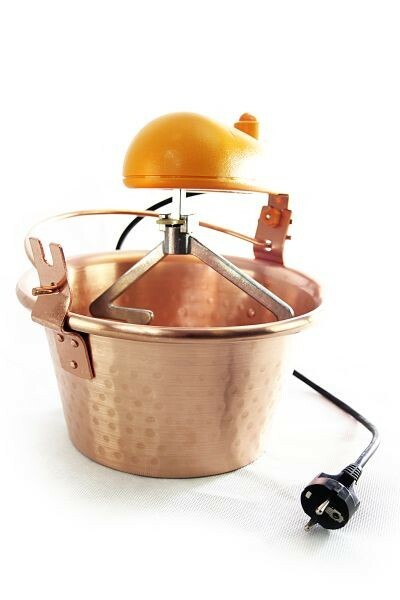 Of course, you can also use the copper bowl without the beaters and prepare all kinds of sauces or other goodies. 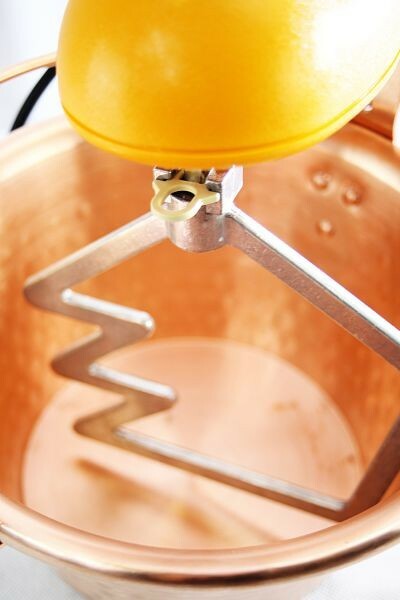 Thanks to the high heat conductivity, copper is generally known as the best material to use in better kitchens.